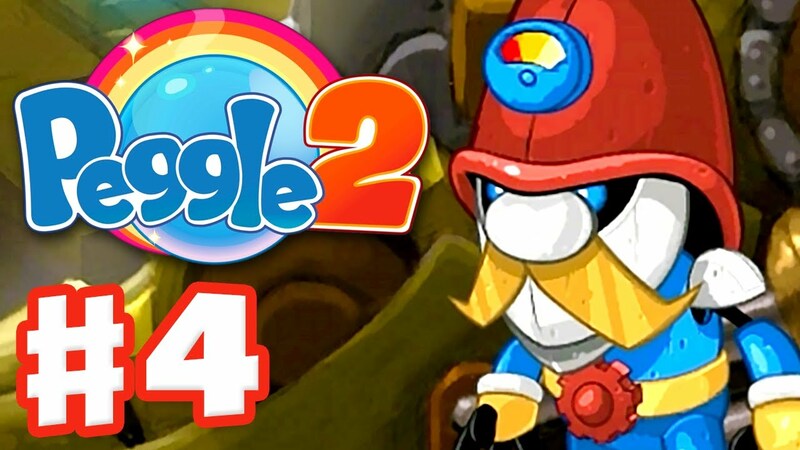 I realize I was a little bit behind the times with my review of Peggle 1, so I decided to jump on the ball and get my Peggle 2 review out in a timely fashion. This sequel is as fun and addictive as the original without feeling like a re-tread. There are new Peggle Masters, funnier dialogue, and more or less effective powers, depending on the current master for the levels you're on at the current time. Bjorn Unicorn is the only returning character. 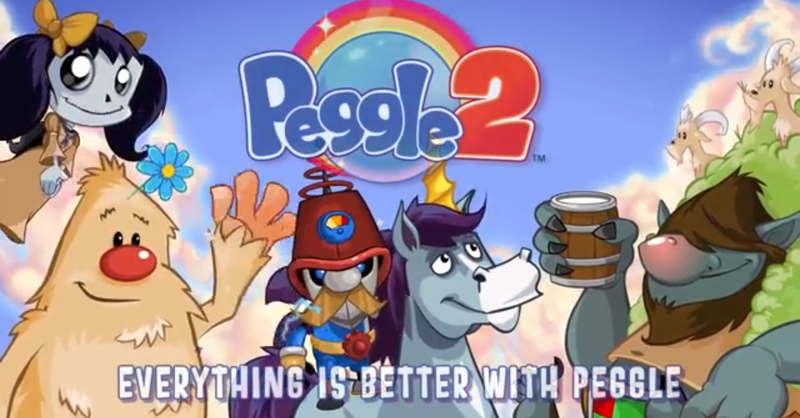 For those who missed the first Peggle review, the gist of the game is the same. You have ten pinballs and you have to shoot them at 25 red pegs. Hit all 25 pegs and you clear the level. Miss any and you have to start the whole thing over. While I don't think there's anything here that wouldn't have been capable using the Xbox 360's hardware, there are definite improvements in the graphics in this game. They have come up with new and interesting ways to make hitting the red pegs more difficult to hit. There are expanding and contracting groupings of pegs. They also have double-pegs that require two hits to remove from the board. All-in-all, I felt this was a slightly more difficult game than the first, but also more enjoyable for the depth of character it offered in the Peggle Masters. In that vein, let's get to the Peggle Master breakdown. who's the master? sho 'nuff! Bjorn's power is the same in this game as it was in the first. His ability is to show you where your peg will bounce after it hits its first target. This is easily the weakest power, but it's also the opening level, so what do you expect? Atomic bombs? I don't think so. Jeff is a less-than-subtle homage to the Coen Brothers' classic character, The Dude. His special power includes firing a huge bowling ball that wipes out entire swaths of pegs. It's one of the more potent special powers in the game. Jeff recounts many quips that will be instantly recognizable to fans of the film, along with being a lazy drunk (as opposed to a pothead), and a huge fan of bowling. "There's a beverage here, man!" (Ice)Berg is a friendly fellow with a penchant for going pantless. His power is known as Ice Breath and it can be either the most or least useful power in the game, depending on your shot. When you hit his green power peg, Berg begins to blow. This North wind causes all pegs that are hit to move rather than disappear. Any other peg they hit will also begin to move with the wind. It doesn't blow in any particular direction, just causes the pegs to slide across the board. Hit a good shot and you can wipe out nearly half the board. Hit a bad one and there might as well not be a power peg there at all. Still, Berg's sparkling personality and his bare-bottomed dance make him one of the most likable characters in the game. Gnorman the Gnome is a robotic master of small stature but great power. Once Gnorman's power is activated, each peg that is hit will electrify and wipe out three corresponding pegs. Even though he appears to have a Napoleon complex, building a robotic suit to increase his stature to a whopping 3'4", Gnorman's power is extremely useful and rarely leaves pegs unpunished. Although he is quite a way into the game, I found his boards some of the easiest to clear due to his electrical powers. He isn't as amenable as some of the other characters, but what he lacks in personality he more than makes up for in Peggle Power. Although Luna is adorable, her powers are quite strong. Once you strike her green pegs, she makes all the blue pegs on the board disappear, leaving nothing but red targets for you to hit. While some might say this takes all the fun out of the game, her boards were difficult enough that they would be neigh impossible without a little help from Luna. Her adorable little visage belies one of the most powerful Peggle Master powers in either game. 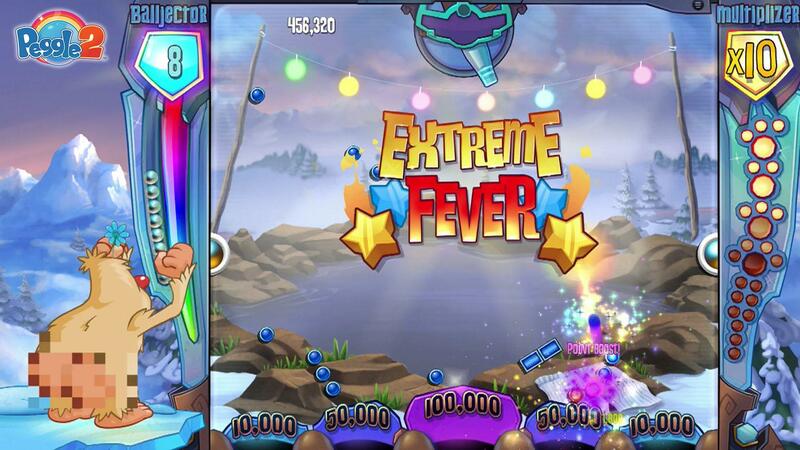 While Peggle 2 doesn't make any great strides from the first iteration, it doesn't really have to. Why mess with a winning formula? This game is just as fun and addictive as the original. The new masters are quite enjoyable and the powers that they've come up with are different enough from the first while still remaining useful that they make this sequel a welcome addition to the Peggle universe. Bonuses: +1 for not messing up one of the better gaming formulas. They could have gone all "Galactic Puzzle Quest" and ruined a good thing, but they didn't. Instead, they simply added new characters and managed to create new, useful powers that keep a fun game just that...fun.